It dawned on me that I have been sorely neglecting my FOOD posts. Lord knows, the things we are eating around the world are just as (if not more) important than what we are seeing and doing. Here is a rundown of the edible items that stand out in the past few countries. Any place you may expect to find a side of fries at home, you will be served a heaping mound of Ugali here. Roughly the consistency of very dry/stiff mashed potatoes and completely lacking in any flavor to speak of, it is an incredibly filling and versatile carbohydrate. Prepared by vigorously stirring maize (corn) flour into boiling water, it is usually eaten by hand - a small chunk torn off and rolled into a ball and dipped in any number of nutritious accompaniments (most often beans or lentils or sakuma wiki). The latter is my personal favorite - the meaning of which is "to push the week", it's an inexpesive dish of thinly sliced sauteed greens similar to kale. I find ugali suprisingly edible. Reece, a fan of all things bland, is totally into it. 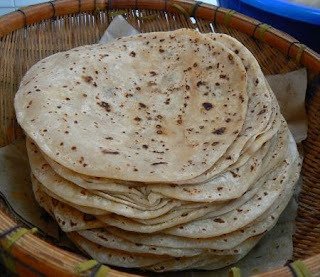 Like an Indian roti meets a Mexican tortilla. Dip it in soup. Shovel up a spicy curry. Stuff it with meat and veggies and roll it up like a burrito. However you consume it, chapatis are delish. 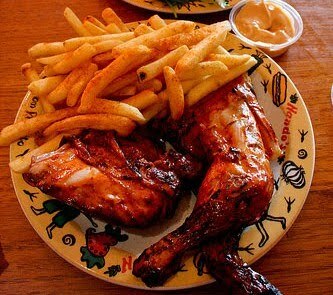 Chicken & Chips, Chicken & Chips. Everywhere you go, there's chicken and chips. They do it alot, and all that practice has made them damn good at it. The spicy marinade is made from the peri-peri pepper, aka the Africa bird's-eye chile. And through some kind of Mozambique magic, they're able to get that flavor soaked all the way to the bone. Finger licken good. South Africa is a pretty metropolitan type of place where you can find just about any kind of cuisine. 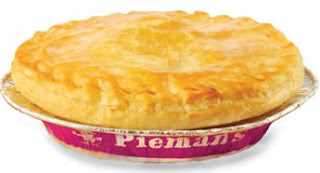 The one snack that I've found unique to the country is the golden, flaky and delicious pie. No friends, not the banana cream or strawberry rhubard variety. But the savory, meat-filled pocket of goodness. Choose from several varieties such as salami and cheese, steak and kidney (nope, not the bean) and my personal favorite, chicken and mushroom (in cream sauce). Who wouldn't love a quick, handheld chicken pot pie? You can find these gems just about everywhere in South Africa, from grocery stores to gas stations to the successful King Pie chain. That's what I call a light snack on the go. Every now and then in Argentina, you have to squeeze in a meal that does not consists of rare beef and red wine. Like, maybe once a week. That's where miga sandwiches come in. 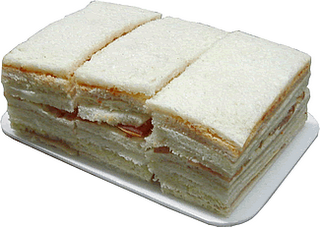 Spongy white bread sliced impossibly thin and layered with dainty slivers of ham and cheese (or other options like tomatoes that really aren't worth mentioning), they are sold on just about every block and cost maybe a buck. Grab a short stack of these and you are good to go. Highly addicting. 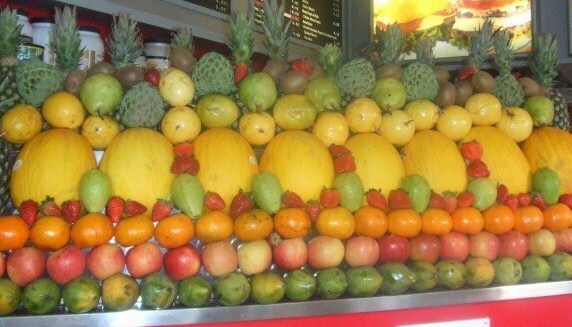 Juice bars with about 65 varieties to choose from. The combination of the Portuguese language and the foreign fruits meant that I was only familiar with about five of those tropical options. Each morning it was an exciting guess as to what frozen delight I'd receive. As if that wasn't enough of a treat, most of these establishments also serve a variety of savory pastries of sorts. Soft, doughy bread. Baked or fried. Stuffed, filled or rolled. With ham or cheese or chicken or bacon or any combination of the above. Nothing like a coconut smoothie and warm bread stuffed with cheese to start your day.